Don’t Miss the B2B Networking Event of the Year! PLUS … NEW THIS YEAR! The People’s Choice Best Local Brewery Award will see New Mexico microbreweries competing for up to $6,825 in marketing and advertising prizes. B2B Expo attendees will have a chance to taste-test craft beer samples from all competing breweries (for FREE! ), then vote for their favorites live on the show floor. At-the-door tickets to the Expo Only can be purchased on the day of the event for $40 per person. 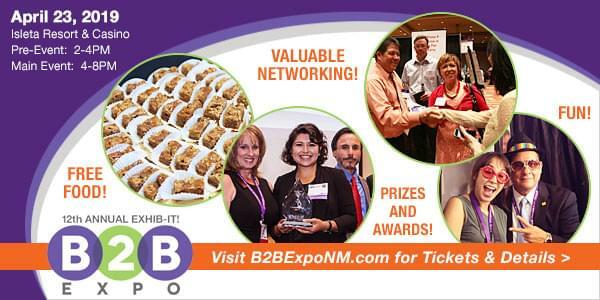 Register online now or visit the B2B Expo website at http://b2bexponm.com/ to learn more.